BD4BO DO-IT, WE DID IT! As BD4BO DO-IT draws to a close, it’s the perfect time to reflect on the work we’ve done and our vision for the months and years ahead. Over the past two years, dozens of colleagues from 37 organisations spanning academic institutions, regulatory bodies, patient organisations and pharmaceutical companies, have worked together. Everyone has been united by the same aim: to facilitate the use of big data in the development of more value-based and outcomes-focused healthcare systems in Europe. To assist with this, DO-IT examined how to identify, select and measure core outcome sets and presented this guidance in our toolkit. We also produced other tools to help realise the potential of big and real world data. Our review of econometric methods for real world data analysis is one such example, as are some of our webinars including one which focused on the HTA perspective on the acceptability of real world evidence and methods to enhance its use and another on outcomes standardisation. Our new model data privacy clauses for informed consent forms have put us ahead of the curve in responding to the GDPR and help us to encourage data sharing with the protection of privacy. Throughout the project, we have advocated the use of big data at a wide range of events across Europe and further afield. We held a session at the European Health Forum Gastein, hosted events on patient engagement and improving health outcomes using big data, and held webinars on topics such as data-driven decision making and the acceptability of evidence. 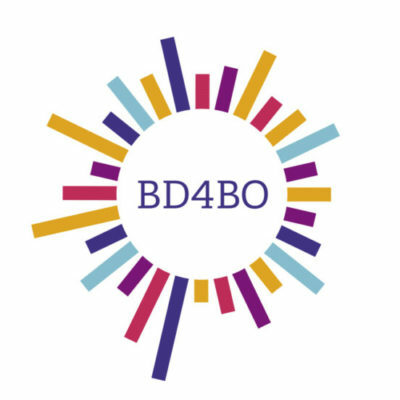 We have increased the visibility and ease of access to the BD4BO outputs by creating a central portal, the Knowledge Hub, where they are stored. This Hub will be sustained beyond the end of the programme and will help BD4BO projects and others to learn from our work and from each other. We will also be making sure our work is sustained by maintaining communication channels after the project ends. That means, while the programme may be over, BD4BO continues and we would love for you to follow us on the next stage of our journey. Thank you to everyone who has contributed to the DO-IT mission over the past two years and we wish you all the best in your future ventures.